She started looking into weight loss surgery, but found out all the work you have to do to even get the surgery. Her mindset was that you might as well do the work yourself, with exercising and eating right! But, she couldn’t do it herself. “I was to far down the rabbit hole with binging and staying home and watching tv all day” That’s when she considered a weight loss retreat, Once doing the research, comparing programs, Lanie ultimately decided the one for her was Live In Fitness! Lanie has made amazing strides with her healthy and positive outlook. Her body AND mind continue to change in the supportive environment at Live In Fitness. She has lost 10 lbs so far! Doesn’t sound like much? We try not to solely rely on the scale, as it is only one way to gauge progress. This is why we suggest the Silver Testing, consisting of Resting Metabolic Test, VO2, Scan, and the Hydrostatic Tank. These proved that, although it’s 10 lbs on the scale, it is really more like 14 lbs– as she gained 4lbs in lean mass! That 10 lbs came completely from pure fat!! She continues to train hard and smarter, by increasing her mobility, endurance, as her body is re-firing and doing the work for her to become, and stay, healthy. Congratulations from everyone at Live In Fitness! We’re so proud of your continued success!! Congratulations Araceli For Losing 9.7 lbs in 1 Week!! 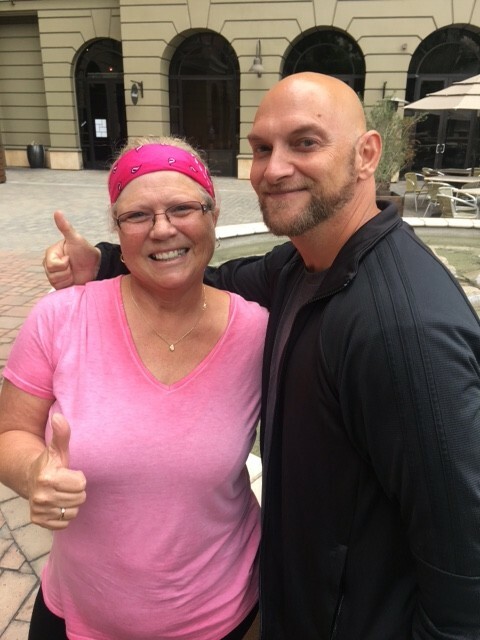 Client of the Week Sheila Lost 9.5 and You Can, Too! !